The layers that provide support in a mattress are called support core layers, and make up the core of the mattress under the comfort and quilting layers. The support core layers are extremely important in providing sleepers with the right amount of support for the body. 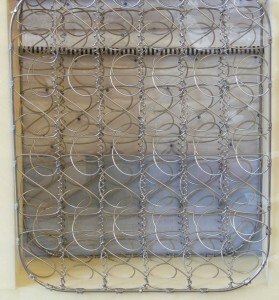 The support core is also responsible for how much a sleeper’s body sinks down into the mattress. Innerspring/coil: the most common mattress with several types of coils and is usually combined with comfort layers like memory or poly foam, latex, or natural fibers. Latex: a type of rubber made with natural or synthetic material and one of the most expensive mattress materials that comes in several kinds. Comes in a wide variety of firmness levels, and can be paired with any kind of comfort layer. Polyurethane foam (poly foam): three different levels of density available and is usually paired with latex and memory foam for comfort layers, or is used as a comfort layer. Airbeds: used as a support core layer and needs to be paired with high-quality and effective comfort layers. Waterbeds: more supportive than airbeds and offer effective support for body alignment and good pressure relief. Innerspring or coil support core mattresses are the most popular mattresses and can be the least expensive of all the mattress types. These mattresses are varied in design based on different kinds of coil construction and offer many qualities for different sleeping needs. What is an innerspring support core? 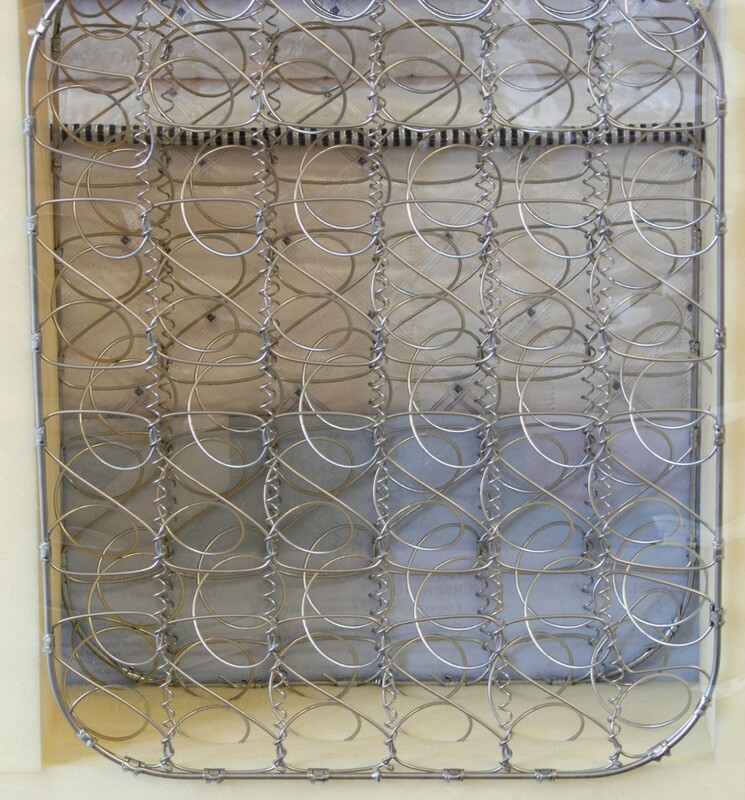 An innerspring/coil support core is a mattress that has been constructed with a core layer or layers of spring or coil layers that make up the support functionality of the mattress. The innerspring/coil layers are then paired with comfort layers like memory or poly foam, latex, or natural fibers. 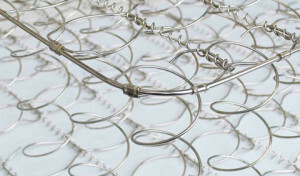 Unlike foam, latex, and other mattress materials, innersprings/coils are never used for comfort layers. What variations of innerspring support cores exist and what do they look like? Bonnell: coils that are the oldest variety of coils. 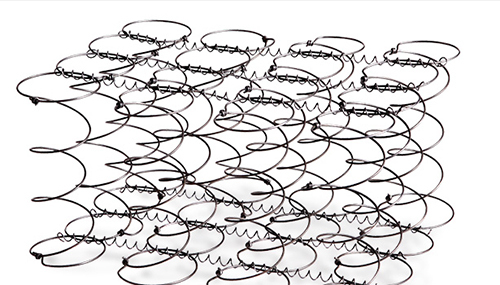 They are made in an hourglass shape and are joined together with helical wires. The simple design lends itself to make the mattress more durable. However, the design is not effective in isolating movement. Different variations on the design can impact the firmness and contouring level. Offset: similar to Bonnell coils, with helical wires joining together the coils that are constructed with more square-shaped wires with a hinged effect. 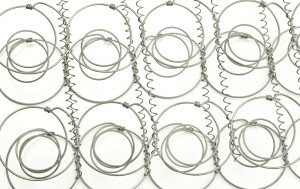 Some variations of offset coils are effective in isolating movement and decreasing noise level. Different designs will have a varied effects on how each coil impacts the coil(s) next door. This relationship can change the firmness and countering levels. Continuous: made with one wire that continues from head to feet. Continuous coils are designed in rows attached with other helical wires. This is the second most popular of the kinds of coils. They are durable due to each coil being supported by neighboring coils. The nature of the one-piece design makes this kind of mattress a little more noisy and not as good at controlling movement. Different designs will impact firmness and contouring levels. Pocketed: individual coils that are fabric-wrapped into pockets in a nested design. The most popular kind of coils, these hand-tied coils allow each pocket to have more movement on its own. These coils offer more consistent support and effective body contouring. The pocket coils move independently for more movement control, unlike the one-unit continuous, offset, and Bonnell coils. How many variations of coils are there and how does the coil gauge affect the feel of the bed? An innerspring/coil support core is made of a system of steel coils that range in thickness from 12.5 to 16 gauges. A higher gauge indicates a thinner coil and that makes a bed more soft and springy. A smaller gauge means the coil is thicker and the bed is more firm and less springy. This makes the coil gauge, along with the comfort layer, responsible for the firmness level. 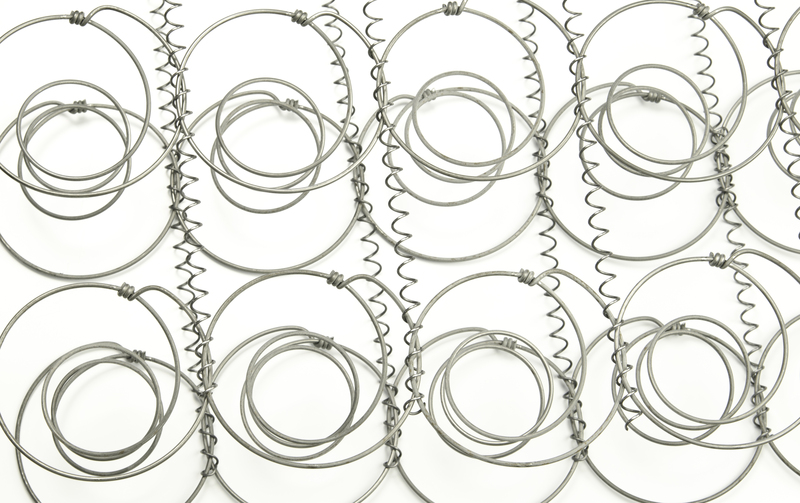 The weight of the steel coils can sometimes be a good indicator of the quality of the springs/coils, but sometimes that information is not provided for consumers. How does an innerspring/coil support core affect the feel of a bed? The feel of an innerspring/coil bed depends on the construction of the innerspring/coil core system and its comfort layers. The springs or coils are made to keep the body from sinking down too much, but just the right amount. This offers body alignment and enough contouring for pressure relief. Based on the coil-connected and one-unit construction of the innerspring support core, the support at the edge of the mattress (for sitting or sleeping) is effective especially when compared to other kinds of mattresses. The innersprings support core design provides excellent support for the spine and body alignment. Bonnell and continuous coils are more bouncy and don’t do as good of a job at absorbing movement and isolating motion. Pocket and offset coils are good at isolating motion and absorbing movement, and are less bouncy. Coil count doesn’t matter! Coil count is the number of coils used in the mattress and research shows that coil count doesn’t coincide with a customer being satisfied or not with the mattress. Coil count doesn’t determine the mattress lifespan or durability, either. Innerspring/coil support cores offer good support and alignment for the body and spine. These mattresses aren’t the best at conforming to the body (thus they are only used for support layers); that’s why comfort layers are important and you may want to consider a mattress topper. Innerspring/coil mattresses have an average durability and lifespan, but the longevity can be extended if properly maintained and cared for. 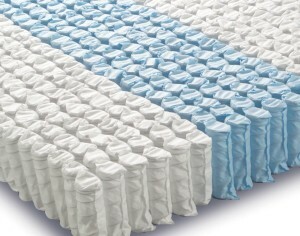 Innerspring/coil mattresses must be paired with effective comfort layers to provide enough comfort. Widely available online and in-store. Consider a proper foundation or box springs to ensure the mattress performs at its best. What questions should consumers ask when buying a bed? What firmness levels are available for innerspring/coil mattresses? What kind of comfort layer do you want to add to your innerspring/coil support core? Do you want to consider a hybrid innerspring/coil and foam mattress? What’s covered in the warranty? How much bounce or spring do you want in your mattress? Should you consider a mattress topper to add comfort? What kind of coil system offers the right support for you? What kind of box springs or foundation will you need as a foundation to your innerspring/coil mattress? Latex mattresses are made of natural, synthetic, or blended latex, and are known for long lifespans, durability, elasticity, and responsiveness. These mattresses perform well in providing both comfort and support. What is a latex support core? A latex support core mattress is a mattress that consists of a latex support core constructed with one or more kinds of latex. These mattresses are not considered hybrid latex mattresses, as latex-hybrid mattresses use other mattress materials for the base support (like innerspring/coil or polyfoam). The latex material has several advantages because of its flexibility. Latex can be conforming and soft upon impact, and then offer firmer support as the body compresses deeper into the mattress. What variations of latex support cores exist? All latex support core varieties are made up of natural, synthetic, or a blend of natural and synthetic latex. Natural: latex made with the raw sap from rubber trees. Natural rubber latex is used in several different varieties of latex, including blended, Talalay, and Dunlop. Synthetic: natural latex blended with a synthetically made rubber polymer to mimic the makeup and properties of natural latex. Synthetic latex is made with petrochemicals. It can also be made with fillers, petroleum products, or poly and memory foam, and is sometimes mixed with natural latex. There are a few kinds of synthetic latex, including styrene-butadiene rubber (SBR) which is the most common and least expensive of the latex varieties. Synthetic latex is consistent in quality and does a good job of softening, and resisting heat and abrasion. Blended: a combination of both natural and synthetic latex and is made with both the sap of rubber trees and petrochemicals. Blended latex mattresses are very durable, consistent in quality, offer good elasticity, and bounce back to a natural shape. They are usually in the mid-range for pricing in between synthetic and natural latex varieties. Talalay: latex made with synthetic, blended, or natural latex, and manufactured with a method of being frozen and vulcanized. The rubber tree sap is poured into a mold and then vacuum-packed and frozen. It is divided into several sections of latex that are adhered together to make the final latex layer. Although an all-natural version of a Talalay mattress is available, the blended Talalay version may be even more durable. Dunlop: latex made with synthetic, blended, or natural latex, and manufactured with a method of being vulcanized. The rubber tree sap is mixed together and poured into a mold, and then baked with steam. Dunlop does come in a 100% certified organic version. What variations of firmness levels are available for each kind of latex? All latex support core mattresses are available in a variety of firmness levels. The firmness level is categorized by an Impression Load Deflection (ILD) rating. ILD defines how soft or firm a foam mattress is and is calculated by measuring how many pounds of pressure it will take to indentation a piece of foam by 25 percent. The amount of pressure is calculated as a weight and that number is the ILD rating. Firmness levels on latex mattresses range from super soft (14) to super firm (44 ILD). Most people prefer a medium ILD between 25-35. What does a latex support core do to the feel of a bed? Latex mattresses aren’t made to offer a lot of added support for sitting or sleeping on the edges of the mattress, like the innerspring/coil mattresses. That said, more firm latex mattresses have a firm edge already, and are well balanced. Mattresses with a latex support core offer good and consistent support for the body and spine. The latex material or blend of materials allows the body to be cradled and supported without sinking down too much to help keep the spine aligned in all sleeping positions. Latex has the ability to adjust to the weight of the body or sleeping position, and can spring back to its normal shape and then re-adjust to new positions without leaving body impressions. Latex mattresses tend to have a more limited bounce factor than innerspring/coil mattresses. The amount of bounce depends on the kind of latex used. For example, a Talalay mattress allows for more bounce than a Dunlop mattress. While latex is very dense, it is also extremely elastic. Latex mattresses are well known for a quick responsiveness and are especially good for active sleepers. Latex is known for its high point elasticity, meaning when it is compressed in one area, the compression doesn’t affect the other areas of the mattress. Its high point elasticity also means the material conforms to the shape of the body and offers effective pressure relief. Latex mattresses tend to be more expensive than other kinds of mattresses. They last a really long time, sometimes up to 20 years because of their durability. They have great responsiveness and elasticity and spring back into their original shape over and over again. Latex mattresses offer excellent support for all sleeping positions because of Latex’s ability to soften for pressure relief and firm up when compressed (by weight). The different variations of latex support cores can be complex, so research is really important to find what you want. Natural materials that help prevent odors and mattress off-gassing. Latex is especially good for heavy people (230 pounds and up). These mattresses don’t sleep hot. Good availability for purchasing online (not always that easy to find in-store). How many fillers are included in the latex? Is the mattress synthetic, blended, natural, Dunlop, or Talalay? What variation of latex do you prefer? How much bounce is important to you? Do you shift sleeping positions a lot? Do you sleep with a partner and need good movement absorption? What kind of foundation will you need for the latex mattress? Do you have allergies to consider? Latex allergies cause skin rash, itching, breathing issues, sneezing, and nausea. What firmness level do you like? Do you want to customize your comfort layers? High-density polyurethane foam, also known as PU, poly, or polyfoam, is a very popular foam used as a support layer in mattresses. Polyfoam is different from memory foam in that it compresses under pressure and can hold the body up, while memory foam is made to soften when pressure is added or heat is applied. 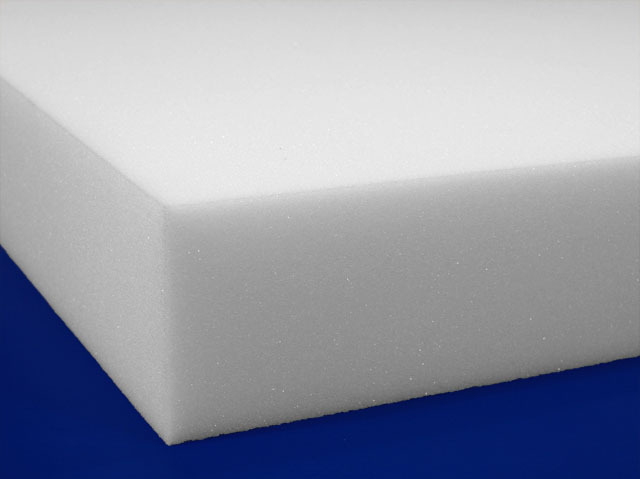 Polyfoam is more suitable and effective as a support layer, while memory foam is used as a comfort layer. What is a polyurethane foam support core? 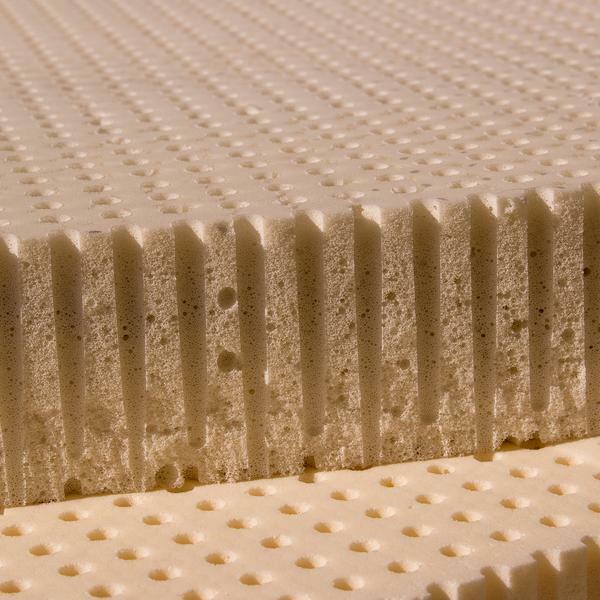 A polyurethane foam support core is a mattress that is made with one of three main grades (from medium to high) of polyfoam. The foam is made chemically with polyurethane and other chemicals that add more density to the foam. It is not very expensive to make and is easily made to be very soft or very firm. A polyfoam support core is known for its consistent firmness by resisting when pressure is applied and its ability to bounce back to its original shape (although with a slower response time compared to latex). Polyfoam can also contain other materials such as copper, infused materials, and gel, to change how the mattress feels or to help with cooling technology. What variations of polyurethane foam support cores exist? Regular or conventional polyfoam: weights less than 1.5 per cubic foot and is the least expensive of all polyfoam varieties. This kind of polyfoam is actually used as a comfort layer, and not a high enough grade to be used as a support layer. High-density polyfoam (HD): can weigh between 1.5 and 2 pounds per cubic foot and is a higher grade than regular conventional polyfoam. More firm versions of HD polyfoam are good for use in a support layer, especially when paired with other foams like latex, memory foam, or soft polyfoam. High-resiliency polyfoam (HR): very durable and made with a different formula than other polyfoams and is available in super soft to super firm. HR polyfoam is the highest grade of the polyfoams and weighs 2.5 pounds per cubic foot. This polyfoam is excellent as a support core and is more expensive to manufacture. What firmness variations of each kind of polyfoam support core are there? Each grade of polyfoam can be made in softer and firmer levels. HD polyfoam is known to be more available in firmer options, however. 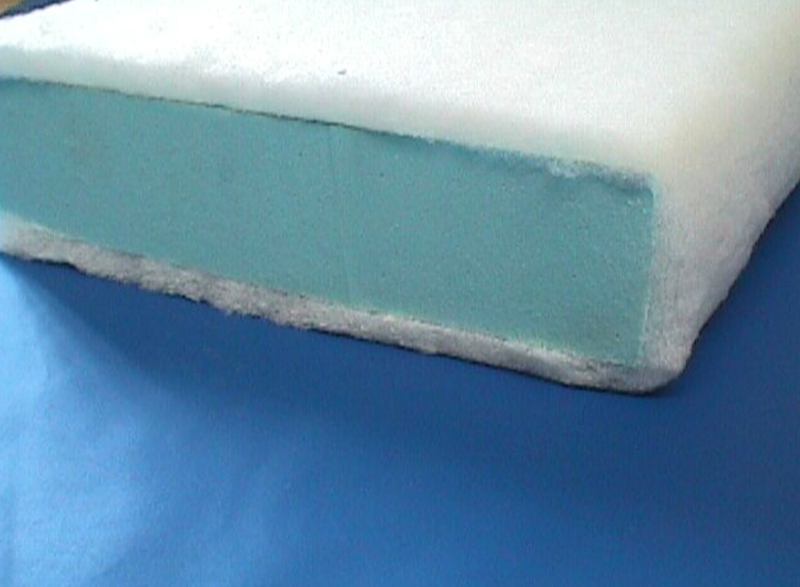 The firmness or softness of polyfoams is measured by a scale called indentation force deflection (IFD). IFD is defined in pounds by the amount of force it takes to make an indentation on a 50 square inch surface. It can vary based on the thickness of the foam. The IFD number helps define the comfort level and surface feel of the mattress — and whether it feels soft or firm, and at what level for each feeling. The comfort level is represented by an IFD number, and the firmer the foam feels, the higher the number. Polyfoam mattresses can range from 30 to 45 on the IFD scale. Higher IFD ratings are given to firmer foams. The IFD rating is not necessarily the best way to judge the durability or quality of the polyfoam. The polyfoam’s density is key in measuring both durability and quality. What does a polyurethane foam support core do to the feel of a bed? The polyfoam support core can make the surface of a mattress feel conforming while pressure makes the foam resist to support the body. 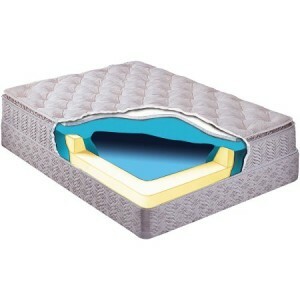 Polyfoam contours to the heavier parts of the body and reduces the space between the mattress and the sleeper’s body. It can make these kinds of beds feel almost like a hug to the sleeper. Polyfoams are slower to respond to movement, however, and can make changing positions a little bit more of a task than with a latex mattress. Polyfoam support cores are not made to offer a lot of support for sitting or sleeping near the edges of the bed. This is especially the case for heavier people. Denser and firmer polyfoam mattresses provide the highest level of support. Polyfoam does a good job of body and spine alignment with the nature of its conformity. The ability for polyfoam to isolate motion or movement means these beds don’t have much bounce at all. The response time on polyfoam is slower than with latex mattresses, for example. Polyfoam will return to its original shape, though. Regular conventional polyfoam will break down quickly and is not made to be a support layer. HD polyfoam may not hold you up as well as latex, innerspring/coil, or higher grade polyfoam. Consider the highest density of HD polyfoam as a support core for durability. HR polyfoam is more expensive than innerspring/coil and less expensive than latex. Ensure HR polyfoam is actually HR polyfoam and has the right density to ensure that it has the right support level. High-density HD and HR polyfoams should be considered if latex is out of your budget. They offer a good quality mattress support core, and are less expensive than latex. The higher the density, the longer a polyfoam mattress will last. There are different thickness levels available, too. The lifespan isn’t as long for foam mattresses as it is for latex or innerspring/coil. Polyfoam is really good for conformity and pressure relief. Polyfoam can retain heat, so consider cooling technology. 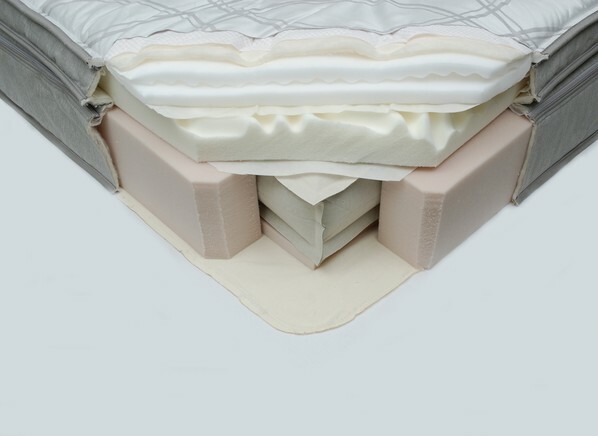 Does the polyfoam support core offer the right support for your sleeping style? Or your partner’s sleeping style? What is your desired firmness level? What variety of polyfoam will give you what you want as a support layer? What kind of comfort layer(s) do you want to add to your polyfoam support core? How much durability do you want in your mattress? Consider higher grade for longer durability. Do you sleep hot or want to avoid heat? Consider a cool technology mattress. What kind of box springs or foundation will you need for your polyfoam mattress? 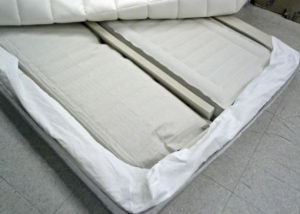 Airbeds are known for their flexibility in comfort adjustment for sleepers and long lifespans. Airbeds are made to be a support core with air, and are paired with comfort layers like different foams, latex, or a combination of materials. Airbeds are made of air with adjustable electric pumps that remove or add air to the mattress. The air fills air bladders with chambers and sleepers can adjust the air in each chamber to create macro zones. These zones will adjust to the heavier parts of the body so the body doesn’t sink down into the mattress too much. Airbeds are only used for support cores and the support core itself doesn’t offer any comfort. These support cores must be combined with comfort layers to provide cradling and pressure relief. What variations of airbeds exist? Dual chamber: made with two main chambers. Adjustments can be made to each chamber for each side of the bed. These are especially made for couples in mind, so each person can adjust their own side of the bed. Tri-Zone: made with multiple chambers inside the airbed. Each independent chamber can be adjusted so the sleeper has control over the head, shoulders, midsection, and lower body. Six chamber: made with six chambers of air inside the bed. Zones for different parts of the body, like the tri-zone bed, are also adjustable. These varieties may take more time to research and experiment with to get the results for each sleeper. What variations of each are there and what should you watch out for? Although each kind of airbed support core allows for customization, sometimes the level or range of adjustment can feel somewhat limited. Also, based on the construction of the different air chambers, there is a tendency for these mattresses to slope or sag. This can cause sleepers to be uncomfortable, especially when each side can be adjusted to such different levels. What does an airbed support core do to the feel of a bed? An airbed is used for the support core only, so it really impacts the feel of support, while comfort layers can impact the comfort level. The firmness feel levels vary because they can be adjusted based on the construction of the mattress and its number of chambers or zones. Any conforming or cradling feel of an airbed is caused by the air bed’s ability to distribute weight evenly, similar to an innerspring/coil support core. Airbeds are designed to have an edge-to-edge system that prevents a person from falling off the bed or for sleeping or sitting on the edge. Some airbeds have foam side walls that can enhance edge support. Airbeds are known for offering a high level of support for the body and can be great for alignment when the adjustment levels are done properly for a sleeper. Airbeds have little bounce, probably because of the pressure in the air-filled chambers. The airbed’s response to movement can sometimes be uncomfortable, because the air levels may need to be adjusted for a new sleeping position. They are, however, pretty good at isolating movement so that one person’s movement isn’t impacting the opposite side of the bed. There can be misleading information and advertising about airbeds and their functionality. Consider buying an airbed for a higher value and from a lower priced manufacturer at a lower cost that is comparable to a higher priced airbed with inflated pricing. Prices vary quite a bit, as these beds are not expensive to manufacture but prices tend to be high and inflated. There are risks with air bladder leaks and breaks, and sometimes issues with moisture. The manual adjustment of the air means constant changing for different sleeping positions to realign the body and spine. These beds must have adequate comfort layers, as they are not suitable for comfort at all. Different zones allow for customized firmness and support for sleeping for different body zones, as well as customization for multiple sleepers. Airbeds do last a long time (8 or more years on average), but some part replacements may be needed over time. Most airbeds have a warranty that last 10-25 years, but includes partial part replacement payments after a few years (2-4) (owners will end up paying about 20% of the part costs). Trial periods are usually about 90-365 days and some manufacturers will pay for shipping for the return. What sleeping positions do you need to support? Are you looking for a lot of manual adjustment for firmness and support levels? What variety of an airbed will give you what you the customization and support you want? What special functions and technology are you looking for in your airbed? What kind of comfort layer(s) do you want to add to your airbed? How much durability do you want in your mattress? Will you consider a trial period? Waterbeds are known for their pressure relief, temperature control, and easy-to-clean surface. Since their rise to popularity in the 1970s, waterbeds have seen some changes in construction and technology. 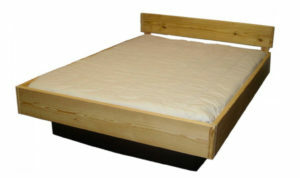 Usually, waterbeds compete with airbeds as opposed to other kinds of mattress types. There are two kinds of waterbeds, and each type consists of a water-filled mattress inside a frame that is placed on a platform. What variations of waterbeds exist? There are two kinds of waterbeds — hard-sided and soft-sided. Hard-sided: includes a water chamber that is contained inside a wood frame and then sits on a platform. Hard-sided waterbeds look much like a box spring. Soft-sided: looks like a regular or conventional bed and has a water chamber that is enclosed inside a frame of foam and fabric. Soft-sided waterbeds also sit on a platform. What variations of each are there? Single chamber (free flow): a simple one-unit bladder filled with water and has a free-flowing feel. 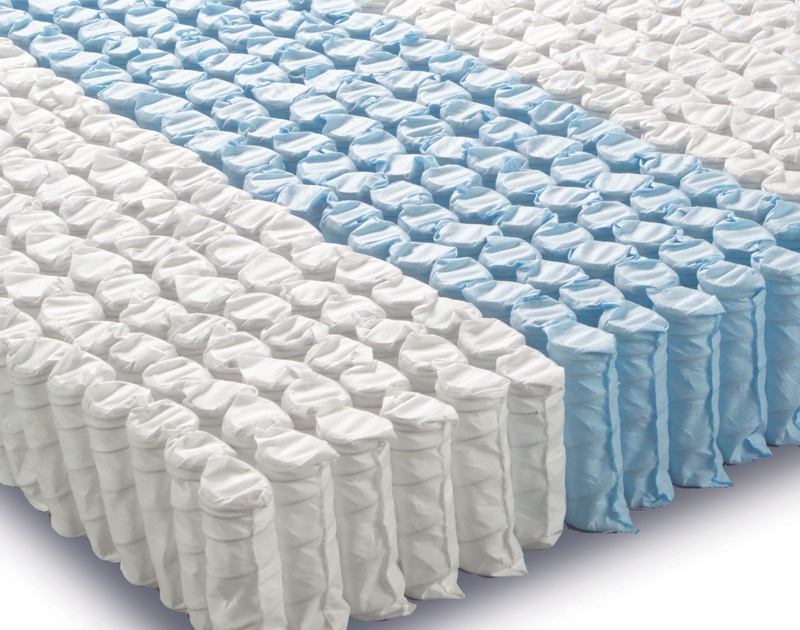 Single-chamber waterbeds perform well in conforming to the body and relieving pressure, especially depending on even weight distribution. Dual chamber or zones (waveless): multiple-bladder chambers filled with water and different chambers or zones can be adjusted with more or less water. The different zones can also be filled with layers of fiber, baffling, or hydraulic water coils. The disadvantage to adding additional chambers or zones to a waterbed is the feeling of floating or sleeping on water goes away. This limits the water’s motion. What does a waterbed feel like and how does it affect these attributes? A waterbed makes you feel a little bit like you’re floating. Your body is completely cradled and the surface conforms to your body by the water underneath. Waterbeds make a sleeper feel balanced. While heavier parts of the body sink in more, the other parts of the body lift up a little bit. This is different from foam, which makes body parts that compress down farther have no affect on the other areas of the body. 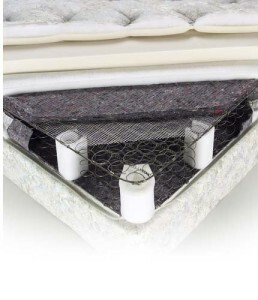 Waterbeds are made with frames that surround the edge of the mattress. Edge support can depend on the construction of the frame or other mattress layers. Support and spinal alignment can vary based on how the weight is distributed. There is some controversy surrounding their level of support and ability to align the spine and body accurately. This alignment varies based on how weight distribution occurs with different parts of the body while sleeping. For the parts of the body that are heavier and sink down more, the other parts of the body will raise up more. There is no bounce to waterbeds. However, the dual chamber, multiple chamber, or bladder beds do a good job of isolating movement. The single-chamber beds are not equipped to isolate motion, however. Consider careful testing and research before buying a waterbed to make sure it has the qualities you are looking for. Uneven weight distribution can make waterbeds uncomfortable and cause back pain and other kinds of pain. The size of a waterbed (and surface area) does matter. As heavier body parts sink down, a larger waterbed will lift up less on other parts, while a smaller bed will lift up more. Waterbeds can have issues with leaking, and the more parts, pumps, and connections there are, the higher the possibility of more issues. Warranties can be up to 20 years or more. However there is a prorated coverage that ends after a few years and the owner will be responsible for some replacement part costs. Some manufacturers and companies do offer trial periods, usually from 30 to 90 days or more. Punctures can be an issue for waterbed owners. Typically waterbeds have long lifespans, and can last more than a decade with proper maintenance. What is your desired firmness level and will a waterbed offer that? What variety of a waterbed will give you what you the customization and support you want? What kind of comfort layer(s) do you want to add to your waterbed? How much durability do you want in your waterbed mattress? Will a waterbed work for you and/or your partner? A free flow waterbed may not work well for active sleepers with little motion isolation. Are you ok with no bounce to your mattress? Waterbeds don’t have bounce. Do you want the waterbed to include other kinds of materials? It may mean a less of a floating feel.